Redditor Wopsle flipped the track and brought the old school back. 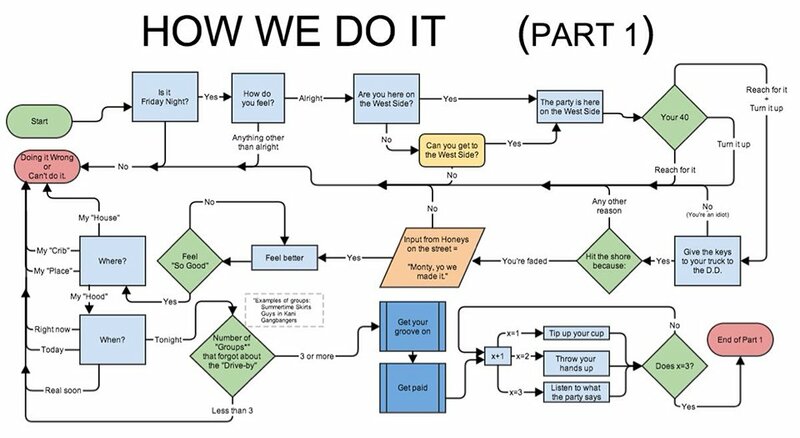 He thought it would be funny if the lyrics to Montell Jordan’s This is How We Do It were presented in a flowchart, so he spent 10 hours making one. Time well spent.